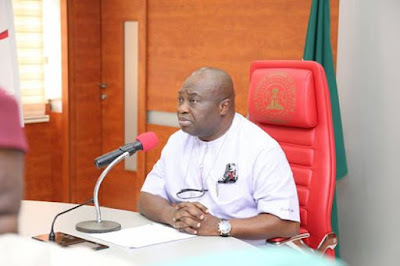 Abia State Governor, Dr Okezie Ikpeazu, has applauded various political parties in Abia State for their keen interest in the upcoming local government election slated for December 17, 2016. The Governor particularly commended the Peoples Democratic Party (PDP) in the state for conducting a largely peaceful primaries across the state and urges winners and losers to continue to conduct themselves peacefully. The Governor who also received information on skirmishes witnessed at some locations condemns all acts of violence, regardless of the reason, as the party (PDP) has structures in place for those who feel aggrieved to appeal the outcome of the primaries. It is important to note that for many years the state has not conducted polls to elect officials at the third tier of government and many have waited for the opportunity to put themselves up for election. Also, as the dominant and ruling party in Abia, the interest of aspirants to vie on the PDP platform is not strange. This was exactly what informed the decision of the governor to approve the conduct of local government elections as well as maintain absolute neutrality in the contests to select PDP candidates. Deepening democracy at the local goxvernment level is very important in ensuring accelerated even development across the state as well as spread democratic participation and dividends. The Governor did not endorse any aspirant, as their was no reason for such. Therefore, any claim to such endorsement is false. The Governor will only endorse dully nominated party candidates presented by the PDP. He is bent on providing a level playing ground for all participants in the elections. The Governor wishes to assure all Abians that he will do everything in his power to ensure the conduct of a free and fair local government poll on the 17th of December 2016.